A woman on a park bench with two children. By now, you&apos;re familiar with the data point: The United States ranks dead last among Organization for Economic Cooperation and Development countries when it comes to paid parental leave offerings. It&apos;s the only developed country to offer zero weeks of leave to new mothers at the federal level. Only about one in five workers in the U.S. has access to paid leave after the birth or adoption of a new child. One-fourth of new mothers goes back to work within two weeks of giving birth. 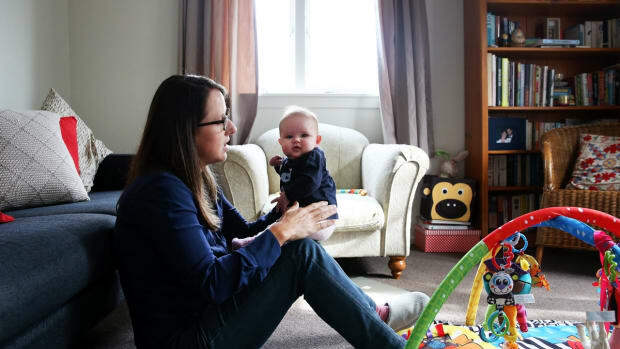 In addition, while the only federal legislation governing leave in the United States, the Family and Medical Leave Act, offers unpaid leave to some workers, it&apos;s most often not used for parental leave. Instead, it typically goes toward medical leave. Furthermore, it limits leave to 12 weeks—much less than is healthy, according to a 2017 study from my colleagues at New America&apos;s Better Life Lab. On the one hand, there&apos;s good reason to think that the U.S.&apos;s terrible record on parental leave may soon be in the past. Now, seven states and Washington, D.C., offer or will soon offer paid leave through low-cost, social insurance-style plans (think of it working in the same way as Social Security or Medicare—you pay in a small amount regularly and take it out when you need it). Major companies are even beginning to out-compete each other by announcing more generous and more accessible policies than the last. And the public&apos;s support for a federal leave program doesn&apos;t just stop at mothers. Fathers today increasingly see the many-pronged value of having time off from work to welcome a new child: more time for bonding, more time to do hands-on caregiving, and more time to be active participants in their rapidly changing homes. And yet, despite the fact that support for paid parental leave is on the rise, Senate Republicans have their eye on a bill that would disincentivize dads from taking it. Understanding the stakes of this development requires taking a closer look at the positive outcomes of paid paternity leave. 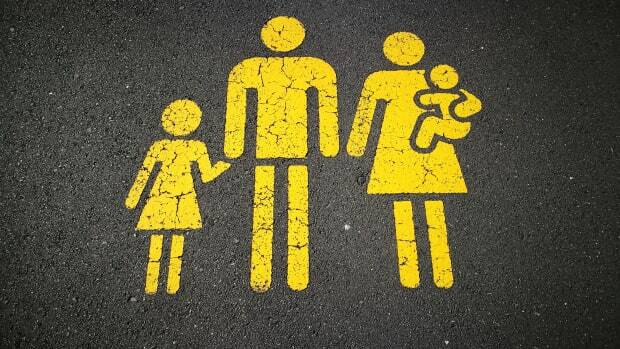 According to a 2016 study by the Pew Research Center, 69 percent of Americans think that fathers should receive paid parental leave (83 percent think that mothers should). And when men do take time off for parenting, research shows that the benefits to themselves, their kids, and their families are immense. However, a Promundo study shows that, though men say that they want more time for fathering, they&apos;re concerned that they&apos;ll be penalized at work if they take that time off. The benefits of paid parental leave have echoed beyond studies and into pop culture. Reddit founder Alexis Ohanian (who&apos;s also married to tennis superstar Serena Williams) is the latest big celebrity to jump on the parental leave cause, and he&apos;s placing a special emphasis on the need for paternity leave. Ohanian took paternity leave after Williams gave birth to their daughter Olympia in 2018. He also has made a $1 million investment in Dove Men + Care&apos;s paternity leave fund, which offers $5,000 grants to men who want to take paternity leave but otherwise can&apos;t afford to do so. I recently spoke with Ohanian about what pulled him into the fight for paternity leave. Ten years ago, he told me, paid parental leave wasn&apos;t on his radar. It wasn&apos;t until he started formalizing the human resources procedures at Reddit that he became aware of the need to offer such a benefit to employees. Thanks to that, when he found out that he was going to become a father, Ohanian went to human resources and said that he wanted to take his full leave. And after Williams had an incredibly difficult birth experience, that time off to take care of his family became ever more important in his eyes. The paternity leave fund Ohanian has helped launch is just a stop-gap measure to provide leave to people not in companies that offer it, until a federal policy is passed. "It really became such an issue for me that I was going to start actively fighting for and ultimately working toward a federal program," he says. When discussing his primary aim, Ohanian says, "I think that in the end, the goal here is actually getting a law passed, and the good news is I have already seen bipartisan support." But the problem is that, at the moment, Democratic and Republican support for paid parental leave is split between two proposals, and they&apos;re so different that it&apos;s worth asking whether conservatives&apos; proposal would be a victory for U.S. paid leave advocates at all. Last month, Senators Joni Ernst (R-Iowa) and Mike Lee (R-Utah) introduced a paid leave plan slightly adapted from one introduced by Marco Rubio (R-Florida) last year. In both cases, the bills have been met with a head-slap from the advocates and researchers who&apos;ve been paying attention to paid leave for decades. That&apos;s because the senators&apos; bill doesn&apos;t really offer much of a benefit to workers—it essentially asks them to pay for it themselves, which could hurt their retirement down the road. The bill would provide access to leave by allowing U.S. workers to draw from their accumulated Social Security retirement benefits after the birth or adoption of a child. The amount they&apos;d be paid would vary based on their income, though estimates say that it would be about 75 percent of income for the lowest-wage workers. For any time paid through these funds, workers would extend their retirement and eventual receipt of Social Security benefits later on. Meanwhile, the Family and Medical Insurance Leave (FAMILY) Act, sponsored by Kirsten Gillibrand (D-New York) and Rosa DeLauro (D-Connecticut), would allow all new parents—men and women, mothers and fathers—to take leave. It&apos;d also allow them to take time off for other family and medical leave reasons. That&apos;s because all workers and their employers would be paying into the general fund that makes leave available. Gillibrand says that contribution would be something akin to the cost of a cup of coffee per week. This means that, if both parents work, both parents get time off for the birth or adoption of a new child—and myriad other moments when it&apos;s necessary. In other words, while the FAMILY Act would offer the potential for a double benefit to new parents, Senate Republicans have offered a bill that would allow for a double penalty to families who value leave for both parents. My Better Life Lab colleague Alieza Durana reported on the problems with the latter program&apos;s financial sustainability, as well as on the problem it represents for maintaining an already beleaguered Social Security Administration. 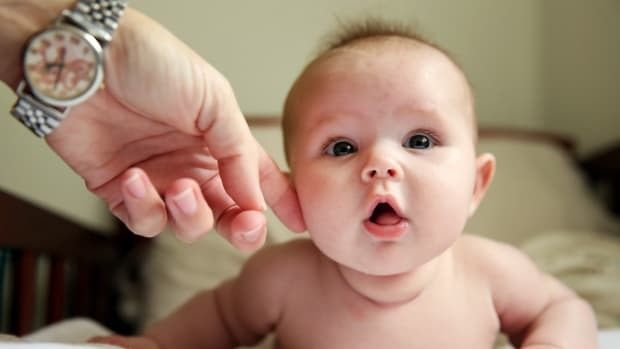 Beyond that, this proposal would likely limit the majority of federal leave-taking to those most desperate for time off, and to those most financially secure, who may already have access to paid parental leave through their employer. It&apos;d also leave dads in the dust. Why? Studies have shown that many more men than women view breadwinning—that is, providing for their families financially—as "an extremely important" contribution to their families. They often make decisions about how to care for their families, and about how to behave at work, based on the impact it may have on their income. The research on paid parental leave elsewhere shows that this plays a role in whether fathers take leave. Researchers on paid leave internationally have found that, if it requires a financial sacrifice—and even if it doesn&apos;t give a financial bonus to families for taking it—mothers still tend to take it (often out of medical necessity), but fathers are far less likely to. And the Republicans&apos; new paid leave plan bolsters just that—it forces leave-takers to take a hit to their incomes, as well as to their later Social Security benefits (and since men out-earn women over their lifetimes and work more consistently through the years, many families rely first and foremost on men&apos;s Social Security benefits). This leaves advocates for and researchers on paid parental leave scratching their heads. 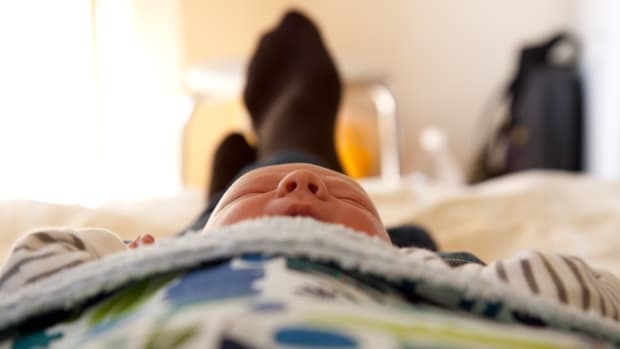 With fathers doing more hands-on parenting than ever, and with momentum for an inclusive paid leave policy growing, why should the public settle for a policy that represents a step backward for fathers and so many others when they don&apos;t have to? Haley Swenson is a Mellon/ACLS public fellow and the editorial director for Better Life Lab. 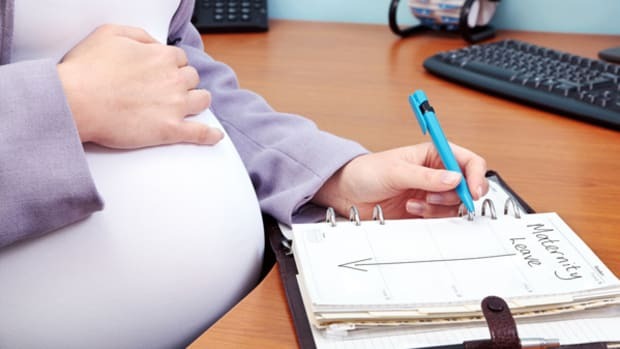 A report authored by researchers from the Brookings Institution and the American Enterprise Institute reviews the options for a national family leave program. Until we recognize that maternity and paternity leave are linked to class privilege, we won't be able to change anything.